An overwhelming number of companies don’t have a clear picture of the printing environment in their workspace. The management teams of many companies don’t actually know just where all the paper is going. This often leaves the finance director perplexed, and some cursory notice may be placed above the printers to warn the employees of the dangers of waste. However, this is likely to have little or no effect, which is why many companies have turned to managed print solutions (MPS) to solve this problem. 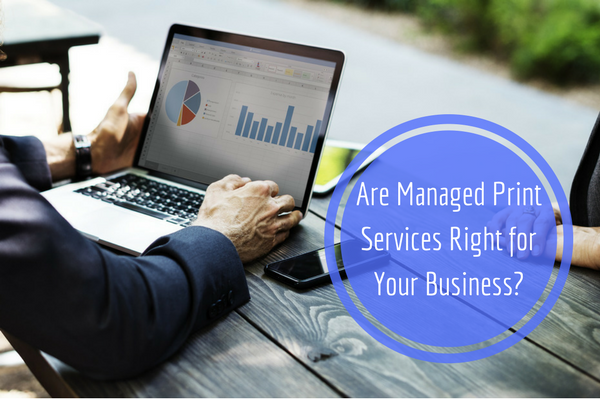 MPS is designed to save businesses money through analyzing the current print environment and achieving more efficient results, either by integrating new management systems, new hardware, or by simply giving the management access to analytics that enable them to manage the workflow better. Why Do I Need Them for My Business? To answer this question, you need to consider these supplementary questions. Do you know why your company is spending as much as it is on printing costs? Does your IT department spend a lot of time on print equipment and system-related inquiries? Do your printers and copiers need to be replaced? Does your staff often complain about the existing systems? If you answered yes to the majority of these questions, it is a sign that MPS could be a useful area to explore to achieve cost savings and to enable you to create a print policy. If you think MPS could help your business, call us at 800-775-9545 today to arrange a consultation. This entry was posted in Services on April 2, 2018 by riehlt.